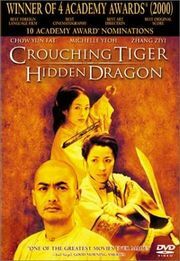 One of the movies that was all the buzz in late 2000, early 2001 was Crouching Tiger, Hidden Dragon. Ian and Elyse were over on a weekend and as they were watching television, a commercial came on for the movie showing the younger heroine Jen Yu leaping between rooftops and bamboo trees. “I want to see that movie!” Elyse exclaimed. She was quite adamant about wanting to see it as she was in her “power girl” phase. She had just turned five at the time and one of her favorite Disney videos was Mulan. She would watch Mulan over and over again and was enthralled with the story. Another Disney favorite was The Rescuers Down Under. She started dressing like Cody and it was almost impossible for anyone to get her out of the Australian bush adventure jacket, and the brown short boots. And then there was Peter Pan. I had made Elyse a Peter Pan costume for Halloween that previous year and no one could convince her to take it off after that, she wore it for weeks and always stayed in character! The beloved, thread-bare costume was finally “retired” by my sister-in-law. I had also wanted to see Crouching Tiger, Hidden Dragon — the academy award nominations had just been announced and it was nominated not only for Best Foreign Language film (which it won), but for Best Picture as well, among a whole slew of other nominations. So I wanted to see it before the Oscars were on and besides, the commercial had hooked me as well, the movie looked fascinating. So Mom and I took Ian and Elyse to the matinée the next day. It was only showing near us at the Rio Theatre, a movie house that had recently been beautifully restored and was known for showing art films. 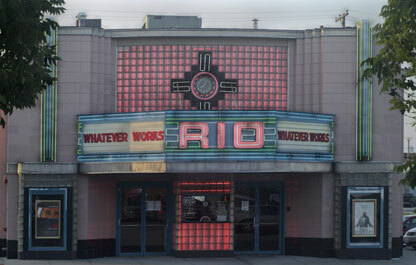 So just going to the Rio was an adventure itself as none of us had seen a movie there yet. We purchased popcorn and sodas, and sat down. Mom was on the aisle, then Ian, myself then Elyse. I knew Ian (who was nine) would love the film as he was always game to see and try anything new. But I wondered a little if Elyse would like it. Was it too soon for her to make the transition from Disney cartoon characters to a Chinese female action martial arts movie? I should have never had one doubt. 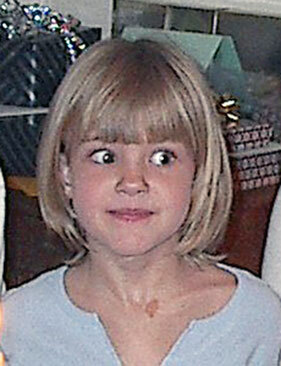 Within the first five minutes of the opening we all sat mesmerized and excited, including Elyse. One word described this movie, WOW! The film’s story takes place during nineteenth century China, in a beautiful, mystical setting inhabited by the Wudan, spectral warriors from legend who effortlessly leap among the bamboo trees. It is hard to describe what Crouching Tiger, Hidden Dragon is as it transcends genres: it is a fantasy, romance, historical epic and thriller all in one. The movie was in Mandarin with subtitles! It didn’t dawn on me that this could be a problem. But Elyse couldn’t read yet, so while she was enthralled with the movie, she couldn’t understand it. So I whispered in her ear what had happened so far. However because the film was so engaging and fast-paced, Elyse got up on her knees and leaned next to me, “tell me what’s happening,” she kept whispering. I felt so bad that I had brought her to this wonderful movie that she couldn’t understand. Finally I put her in my lap and whispered in her ear, reading the subtitles to her as they appeared. As with all foreign movies with subtitles, someplace during the movie you cease reading the subtitles and you begin understanding the movie without comprehension of the language. Halfway through the movie that happened to Elyse. She sat back down in her seat, and she only asked for explanation a couple of more times. At the end of the film we sat in our seats just blown away and moved by the ending, stunned at what we had just experienced. It was very quiet in the theatre as the other people in the Rio were in awe as well. Elyse suddenly said, “that was the very best movie I’ve seen in my whole entire life,” causing a few heads to turn, and a few people to chuckle. ← “Don’t” Forget to Teach Them the Fine Art of Dining!